This grade of Amanita muscaria mushrooms consists of almost all caps, but these are the broken pieces that don't qualify as Grade A+ or A++. B Stock Amanitas don't have the ideal, vibrant colors of our A+ and A++ grade caps. 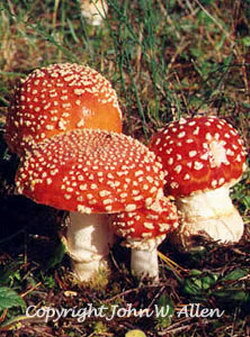 Here at Shaman's Garden we specialize in Amanitas. Only the choicest caps are graded at A+ and A++. These caps come from the same stock as the Washington State Amanita muscaria mushrooms we carry. We offer them to you at a discount because they are the broken caps that don't qualify as A+ or A++. B Stock Amanitas also don't have the ideal, vibrant colors of our A+ and A++ grade caps.